HomeFREEDOMAre Government Health Authorities Taking Away Your Choice to Refuse Vaccines? 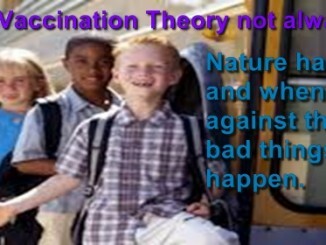 Are mandatory vaccines on the way which would restrict personal liberties, such as the ability to come and go from your own personal property? 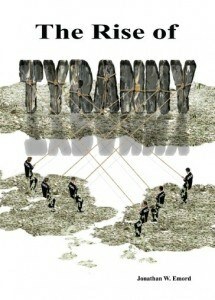 Are Americans’ freedom to choose what is injected into their body at risk in the United States today? 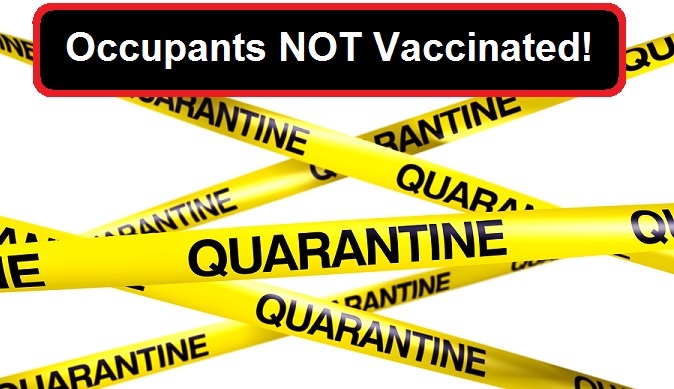 Is it possible that the day is not far off when if you refuse a mandated vaccine at your place of employment, or refuse a mandated vaccine for your child, that you could come home one day to find your residence quarantined, restricting you from leaving your home or having visitors simply for exercising your right to refuse a medical treatment? There is compelling evidence that this is not some conspiracy prediction of a future Orwellian society, but something that is already in process in the United States of America. 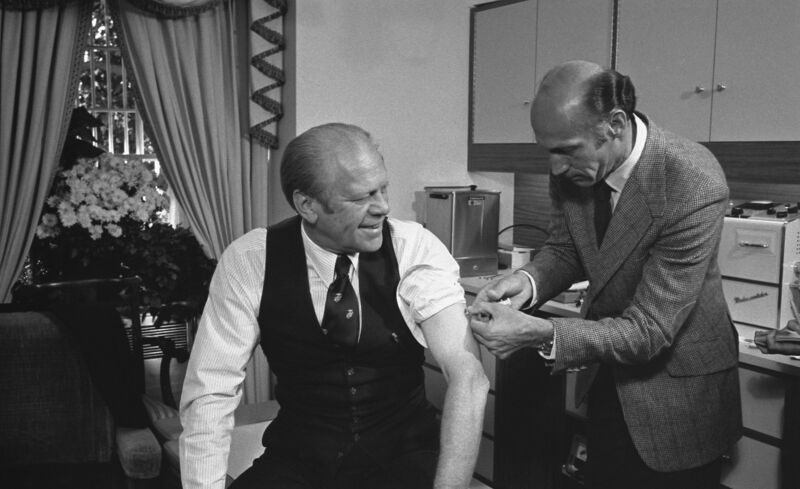 Many fear that a person’s choice of accepting or refusing mandatory vaccines could restrict one’s ability to travel in or out of the United States, one’s ability to send their children to school, one’s ability to continue working at their place of employment, or even one’s ability to leave one’s own privately owned home. 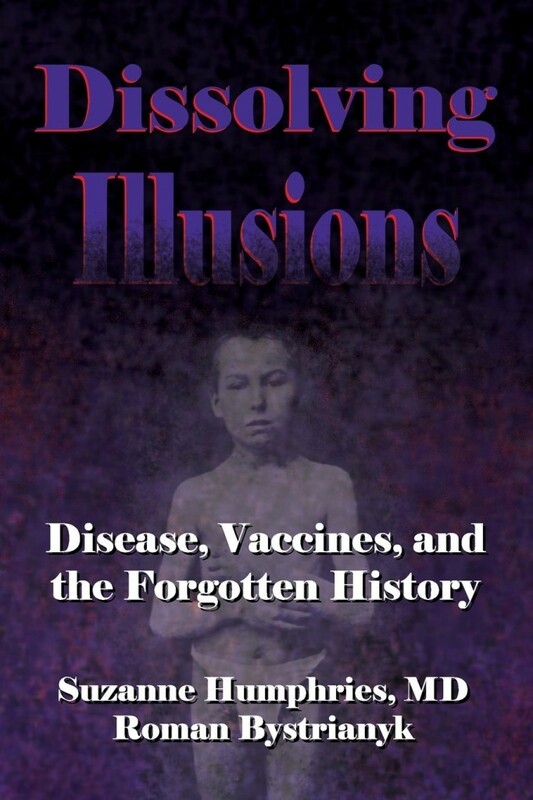 While anyone with a computer and Internet access can easily retrieve documents from U.S. Government websites showing that vaccines are dangerous causing serious injuries and deaths, this information is blacked out of the mainstream media, which willingly complies with the pharmaceutical companies’ sales pitches that vaccines are both safe and effective. We publish the Department of Justice’s quarterly reports on government payouts to vaccine victims for injuries and deaths here at Health Impact News, but you will never see it reported in the mainstream media. For the latest report published in December 2014, see: Government Pays Compensation to 80 Flu Vaccine Injuries and Deaths. We have reported many cases of healthcare professionals losing their employment due to refusing the annual flu shot. 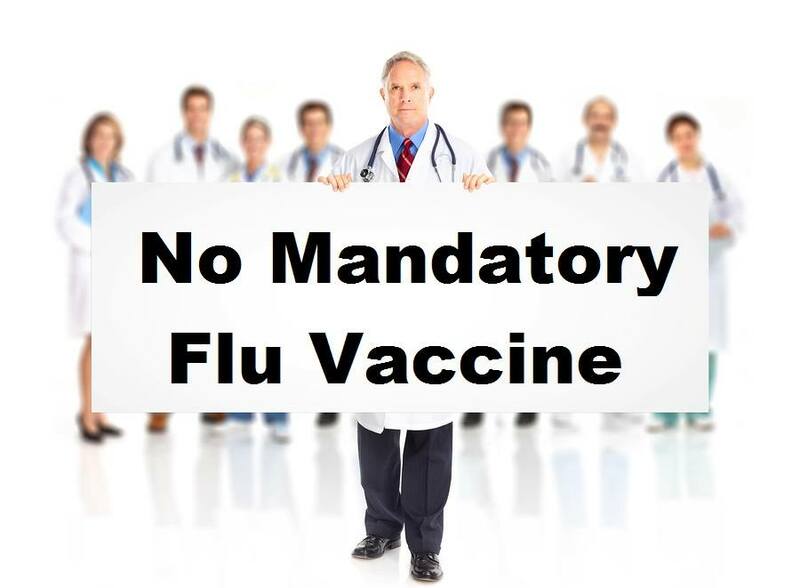 Even with the CDC announcing that this year’s flu shot was not a good match for current influenza strains, medical facilities are continuing to push forward with mandatory flu vaccines for all employees. For those refusing, their HIPPA right to medical privacy is violated by being required to wear a mask the entire time they are on the job. More about mandatory flu vaccines. The United States currently injects more vaccines into children before the age of one than any other country in the world. 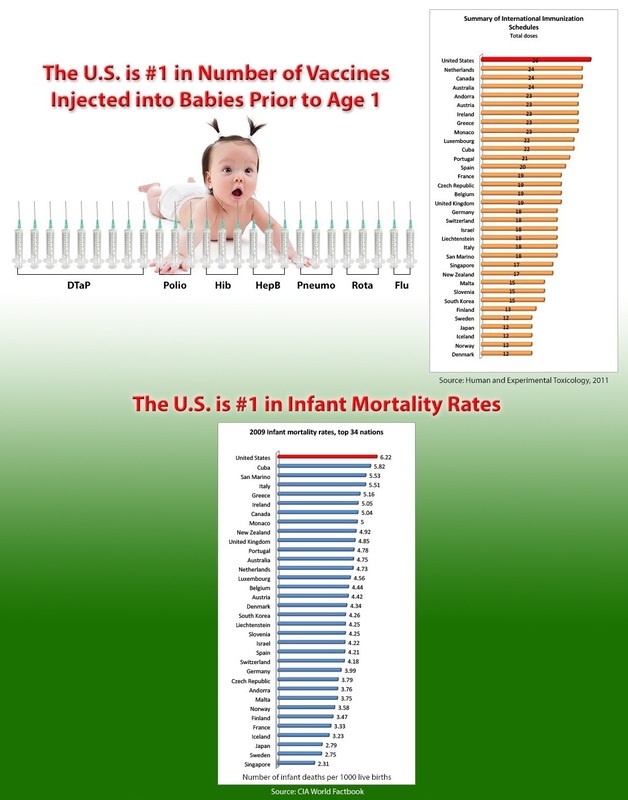 We are also #1 in infant mortality rates. My concerns, and there are many, that the Sec’y of HHS now has power to declare any vaccine manufacturer IMMEDIATELY indemnified for their products. The normal course is to submit for approval process thru legislative, executive, and public review. The Sec’y of HHS actions on the coattails of the PREP Act of 2005 (Bush) and modifications in 2013 (Obama) clearly allow the narrative of terrorism to be used as the rationale for these decisions. The original scope was the concern over weaponizing anthrax by our enemies. And that is a legit concern. 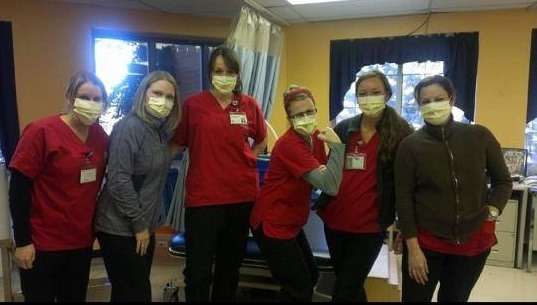 Those who do not accept the vaccine, will be quarantined. For those who are vaccinated with the Ebola vaccine and are injured, the path for compensation is NOT through the NVICP or Vaccine Court. It is through the super secret CounterMeasures Injury Compensation Program. No attorneys allowed, just you against the Sec’y of HHS. And we will not know how many people or the injuries. To understand if the government truly does have the authority to quarantine a U.S. citizen against their will, we only need to look at the recent example of nurse Kaci Hickox who returned from West Africa where she had been treating Ebola patients. 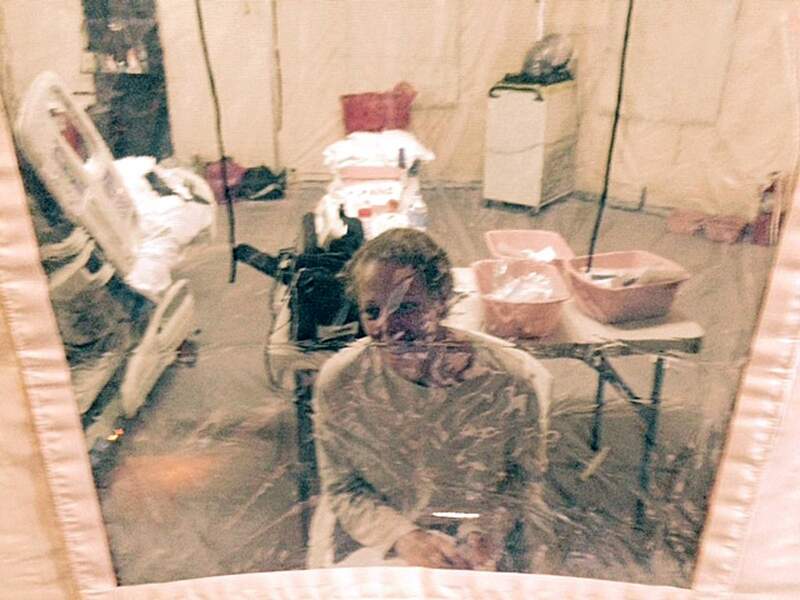 Kaci Hickox did NOT have Ebola. She was quarantined and confined to a tent with no running water or flushing toilet, against her will, simply because of the fear that she might have Ebola – a fear quite probably fostered by the mainstream media and the medical community. TLB Recommends you visit VACCINE IMPACT FOR for more pertinent articles and information.